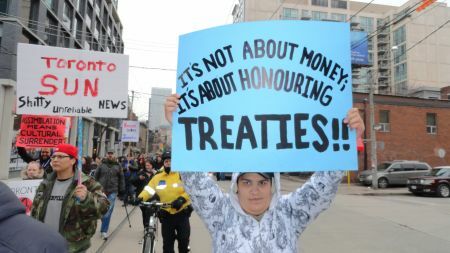 Protesters rally outside of the Sun News studio in Toronto on January 19, 2013, voicing concern over what they call the station's racist overage of Idle No More. PHOTO: Peter Biesterfeld. Protesters outside of the Sun News studio in Toronto on January 19, 2013, confront, and are interviewed by, SN host Ezra Levant, who has been a vociferous critic of Idle No More and Chief Theresa Spence. PHOTO: Peter Biesterfeld. NOGOJIWANONG/PETERBOROUGH—You didn’t have to look hard to find racist comments and biased coverage on the Idle No More movement and Chief Theresa Spence’s hunger strike over the past couple of months. Christie Blatchford's racist column in the National Post on December 27, 2012, referred to Chief Spence’s fast as “hideous puffery and horse manure.” A week later, it was Jeffrey Simpson’s column “Too many first nations people live in a dream palace,” in The Globe and Mail on January 5, 2013. Neither column surprised me, nor were they unique with respect to reporting about Indigenous issues and our peoples in the mainstream media. As a writer and an academic, I felt a responsibility to intervene in the conversation that was taking place. 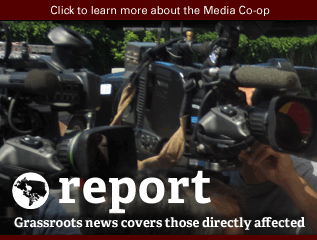 As though Indigenous Peoples had left the room, mainstream media voices continued in their attempts to discredit Chief Theresa Spence’s hunger strike action. Chief Spence’s 44-day hunger strike might have just ended, but the fight for Indigenous nationhood, sovereignty and a fair and just relationship with Canada has not. With the intention of correcting the misconceptions spread through mainstream media about Chief Spence’s strike, I wrote a piece in mid-January for the blog dividednomore (www.dividednomore.ca) to explain the cultural significance of Chief Spence’s fast. The title of the post was “Fish Broth & Fasting,” and it was well received by the readership of that blog. A few days later, the Huffington Post contacted me and asked to re-post it. I felt conflicted. On the one hand, I knew this offer presented an opportunity to reach a large Canadian audience not accessible to me with the original post. But on the other hand, I knew Huffington Post allows a substantial amount of racist comments on its site, and I suspected it would sensationalize my article’s title. Finally, after lengthy discussions among friends in the Idle No More movement, we agreed the benefits of reaching a larger audience outweighed the risks of sensationalism and racist comments. So I gave the Post permission to run my piece on their site. The title was written by a HuffPost blog editor and published without my permission. Apparently, the article had to be in the realm of accusation rather than respectful dialogue for consumption in the mainstream media. Herein lies one of the challenges with the media representation of the Idle No More movement—Indigenous Peoples have little agency to represent themselves within mainstream media, which has boxed our peoples inside the confines of the same recycled stereotypes it insists upon invoking. And that challenge hasn’t stopped us; in fact, it has only served to inspire us further. With few exceptions (and the HuffPost is one of them because they regularly re-blog Indigenous voices), the mainstream media reports Indigenous issues through the lens of the colonial ideology that permeates every aspect of Canadian culture. Since the beginnings of Idle No More, they have consistently chosen to exaggerate and manufacture controversy and crisis, rather than to create open dialogue. They’ve promoted fear over understanding and have amplified potential divisions as a way of destabilizing the movement. Worse, a few networks (including Sun News) have even promoted Indigenous protestors as “terrorists” and questioned if Idle No More is a rise in a “more fundamentalist view of First Nations politics." Once the movement started to take hold, as with other social movements involving people of colour or women, racism and misogyny were used to discredit it, with columns like Christie Blatchford’s leading the way. Idle No More has consistently rejected the framing of protestors as fed up and angry, or of the mobilization as “new.” The movement is in fact a continuation of 400 years of resistance. We have also rejected the media’s need to focus on a single leader or spokesperson, and on a concise list of short-term demands. Instead, Indigenous Peoples have consistently brought in the historic and contemporary legacy of colonialism, occupation and dispossession as context to our deepening movement. There is also a problem with expertise, or lack thereof, in mainstream media. Repeatedly, I’ve listened to pundits and panelists with no expertise on Indigenous issues contribute to the already overwhelming body of misinformation about us. 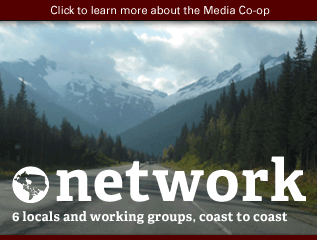 For example, while CBC Radio's Q host Jian Ghomeshi’s opening essay on Idle No More was warmly received on December 21, 2012, that same episode's media panel discussed the movement with no Indigenous representation. Instead, the nearly 10-minute discussion relied on its regular panel of Judy Rebick (rabble.ca), who did an excellent job, Jonathan Kay (National Post) and John Cruickshank (Toronto Star). There is no excuse for this. 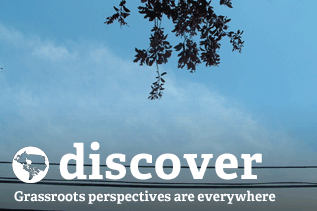 We have hundreds of political scientists, academics, analysts, journalists and experts within Indigenous communities. Just like Canadians, we don’t all agree. If your media panel is discussing Indigenous issues and you do not have at least one Indigenous expert on the panel, you are doing something wrong. Period. The colonial narrative in the media only intensifies when one brings gender into the analysis. Chief Spence has been repeatedly questioned about whether continuing her fast is in the best interests of her children. I don’t remember the parenting of a male leader coming under scrutiny because of his ceremonial and political actions. This, in the context of a colonial legacy that has manipulated public perception of Indigenous women in order to justify cultural termination policies through residential schools and, later, the child welfare system. But through all the mainstream media coverage of Chief Spence’s strike and the Idle No More movement, Indigenous Peoples have not been passively silent. Indigenous media outlets such as APTN have worked diligently to disrupt and challenge the mainstream perspective. 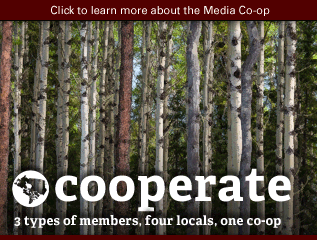 As Anishinaabe journalist Waug Rice observed online, there isn’t a critical mass of Indigenous reporters working within mainstream media, but the few who do have been quite vocal in transforming mainstream representation and understanding of the movement. 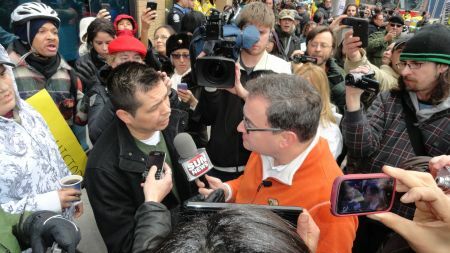 One of those few is Duncan McCue, Anishinaabe journalism professor and producer for CBC’s The National. 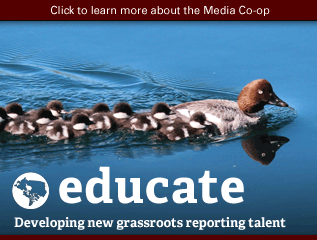 McCue is an Indigenous journalist who has produced in-depth stories on the movement for CBC’s The National and The Current, and has developed a website for non-Indigenous journalists covering Indigenous issues at www.riic.ca. To add to the few are Indigenous women such as Connie Walker and Angela Sterritt, who have brought the stories of our women to the mainstream through CBC’s 8th Fire series and its website. 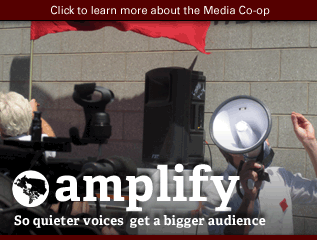 People within the movement have also engaged in an extensive self-representation media campaign as an alternative to the mainstream press, aimed at both educating Canadians on Indigenous issues and inspiring our youth. 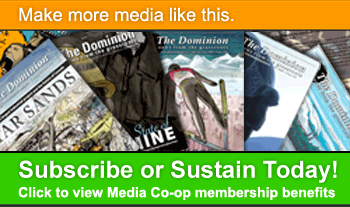 There is an impressive array of high-calibre writing about the movement in various blogs such as dividednomore; Decolonizing: Indigeneity, Education & Society; mediaIndigena; Decolonizing Media and of course from our allies in the independent media including The Media Co-op and rabble.ca. 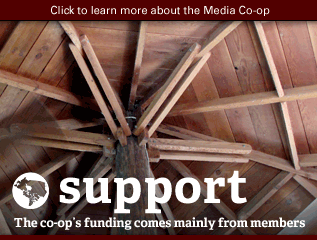 Métis artist Christi Belcourt started the blog dividednomore in response to mainstream media coverage of Idle No More. Also in an email to me, she wrote, “DividedNoMore is a space that was created to share ideas that could be expanded beyond 140 Twitter characters about the Canada we want and believe our children deserve.” Belcourt was pointing to the educational component of the movement, which has included hundreds of teach-ins across Canada geared towards both Native and non-Native peoples on topics ranging from treaties, the Indian Act and Indigenous resurgence to the omnibus Bill C-45 and community organizing. One recent teach-in at the University of Victoria attracted 300 people from all different backgrounds; 300 more were turned away; another 400 participated online. A series of online town hall meetings has assembled more than 300 participants at each. 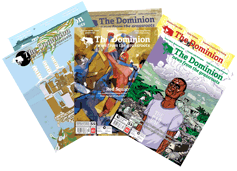 Over the past six weeks, we have also seen an artistic outpouring, including podcasts, edgy logos and posters, zines, pamphlets, solidarity concerts, short films, poetry and new music by DJs, rappers and singer songwriters, including new tracks by A Tribe Called Red, Cris Derksen, Derek Miller and Star Nayea. RPM.FM (http://rpm.fm/) has released two free album downloads called Idle No More: Songs for Life with donated tracks from Derek Miller, Digging Roots, John K. Samson, Plex and Jenn Grant. And the National Film Board offered a week of free online viewing of Abenaki filmmaker Alanis Obomsawin’s The People of the Kattawapiskak River, chronicling the wider context in which issues in Attawapiskat take place. 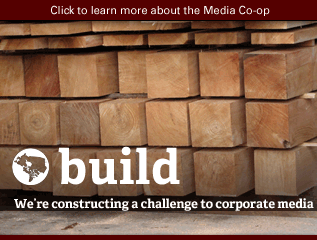 Without fair mainstream media coverage, very little of this work will reach most Canadians. It is our hope that by reflecting our own stories back to ourselves, we will validate and pass them along to our young people. It is our hope that we will both inspire our youth when they see themselves and their relations represented in a positive manner across multiple media, as well as provide Canadians with different stories, angles and voices. Idle No More is not just a fight for Indigenous nations, land, culture, decolonization, language, treaties and the environment; it is also a fight for the fair and accurate representation of Indigenous Peoples and our issues. It is a fight for a better relationship, and that begins with truth, dialogue and respect. Leanne Simpson is a writer and academic of Mississauga Nishnaabeg ancestry with a PhD from the University of Manitoba. Leanne, online at www.leannesimpson.ca, is the author of Dancing on Our Turtle’s Back (Arbeiter Ring) and The Gift Is in the Making, forthcoming Spring 2013 (Debwe Series, Highwater Press); her first collection of short stories, Islands of Decolonial Love, is forthcoming from Arbeiter Ring Fall 2013.